Due to the ongoing possibility of a power outage due to weather in our region, please check the web site, local news or your email messages in the morning to confirm that your school will be in session. At this point in time, our school is open on Saturday, November 21, running a normal Saturday schedule. 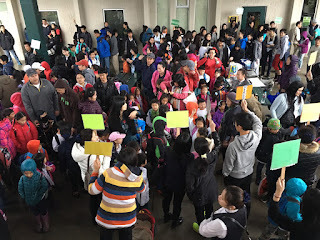 2) 約於三週前接到Tillicum School 通知: 因為該校將於 5/21/2016 承辦 Bellevue School District 的音樂活動而要求我們調課. 校方竭盡所能面對這無法預知的變化球, 這是老師與行政團隊投票的共識決. 我們知道有些家庭可能已經訂下休假的計畫, 若是造成您們的不便, 我們深感抱歉, 請多包容. 今天早上(10/31)我們一發現學校沒開門就馬上聯繫管理員與 Tillicum 學校, 但一直沒收到回覆, 最後只好在 9:15 時宣布學校停課. 校方到現在都還未收到 Tillicum 學校的回覆, 我們已經送函到 Tillicum 學校要求解釋, 並且要求商討補課的時間, 若有進一步的訊息會盡速與家長們聯繫. 請家長們幫忙向孩子們解釋, 並謝謝他們今天乖巧的接受這麼一個大的變化球, 同時我們也祈願學校的 custodian 一切都好, 沒有令人擔心的事發生. This letter is to address what has happened to our school this morning and why we have to call off the day in a short notice. At 8:25 AM, when the volunteers arrived at school, we immediately realized that the whole school was still locked and dark. The custodian didn't come to the school to get it ready for us in terms of unlocking the classrooms and cafeteria and turning the heater on . The volunteers made several attempts to reach custodian and Tillicum staff but without any success. 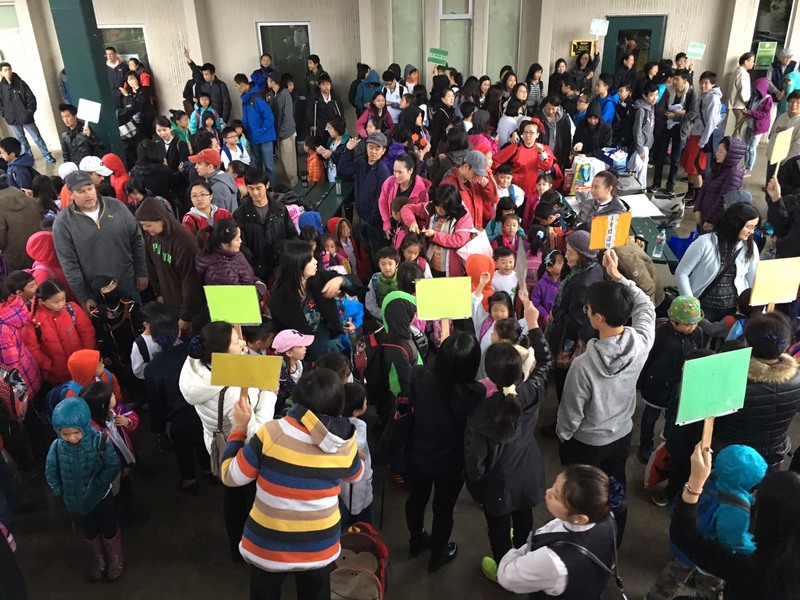 At 8:55 AM, our principal made the call to ask all parents at the drop-off not to leave yet. After waiting for another 15 minutes, 9:10 AM, the custodian still didn't respond to the pager and the voice message we left. Principal had no choice but to announce the dismissal of school as the final decision. We understand such an unexpected incident must have caused some inconvenience to all, we certainly hope you would also understand how frustrated we have been through while we failed to reach a responsible personnel of Tillicum. A letter has been emailed to Tillicum to request for an explanation and to give us some options to make up the missed Saturday school hours. We will keep you all posted once the final schedule change is made. On the other hand, we are worry about the custodian. We sincerely hope that there is nothing bad happened at the Custodian's end to prevent him/her from fulfilling the duty. Please let students know how well they behaved and cooperated today, we are very proud of them. This is going to be a unforgettable Halloween memory for all of us, isn't it? By the way, we would like to remind you that there will be no school next Saturday, 11/7 for the Veteran's day weekend as listed on school calendar. Don't forget to fall back one hour for Daylight Saving ends today!